Venerable Niketas was born in the city of Orel in 1695. From childhood, he loved to go on pilgrimages to the holy places. As a youth, he left his parents and lived about a mile or so from the White Bluff (Beloberezhsk) Hermitage. It is not known when he received the monastic tonsure, or from whom. In 1780 he built a cell on a hillock, and he dug a well by the hill. He ate bread that passersby would leave in his basket, which hung by the roadside on a tree. This was in a dense part of the forest, and animals were often seen by the hermit’s cell. Mosquitoes bit him mercilessly, until he was covered in blood. They tormented him terribly, but Saint Niketas bore everything with patience. He received the gift of tears from God, and he always shed tears for his own sins and for the sins of others. Once, in March, he became ill, and lay down without moving. The day before the Feast of the Annunciation arrived, Father Niketas lay there and heard the bells ringing in the Hermitage for the all-night service. He tried to sing the Troparion of the Feast, but being so weak, and because he had lost his voice, he was unable to do so. The Elder wept bitterly, heartbroken because he could not meet the Feast Day in an appropriate way. Suddenly, his cell became awash with light, and Niketas saw the Most Holy Theotokos surrounded by angels. The Mother of God blessed him, and he began to sing the Troparion of the Feast feebly, but with an unearthly ecstasy. The angels joined him in the singing, and his cell was filled with the praises of the inhabitants of heaven. The vision ended, but Saint Niketas remained under its impression for a long time. As soon as he regained his health, he went to the White Bluff Hermitage for a time. When he got there, he found only ashes where his cell had once stood. Some evil person had burnt it down while the Elder was away. Father Niketas sat down on the hillock weeping bitter tears. Later, he moved to the monastery, where he humbly fulfilled all the obediences that were laid upon him, serving the monks without sparing himself. Once, during a church service, he fell on the floor from exhaustion. Hearing about the Roslavl solitaries, he moved in with them and lived there on the southern edge of Monks’ Gorge, near the village of Yakimovskoe (Akimovka) on the property of Alexandra Bronevskaya, a zealous protector of the hermits who lived on her lands in great numbers. She reposed in 1853, and was more than eighty years of age. Saint Niketas lived there for over ten years, and again he moved to White Bluff Hermitage. In 1792, however, he wanted to return to his Hermitage before his death. 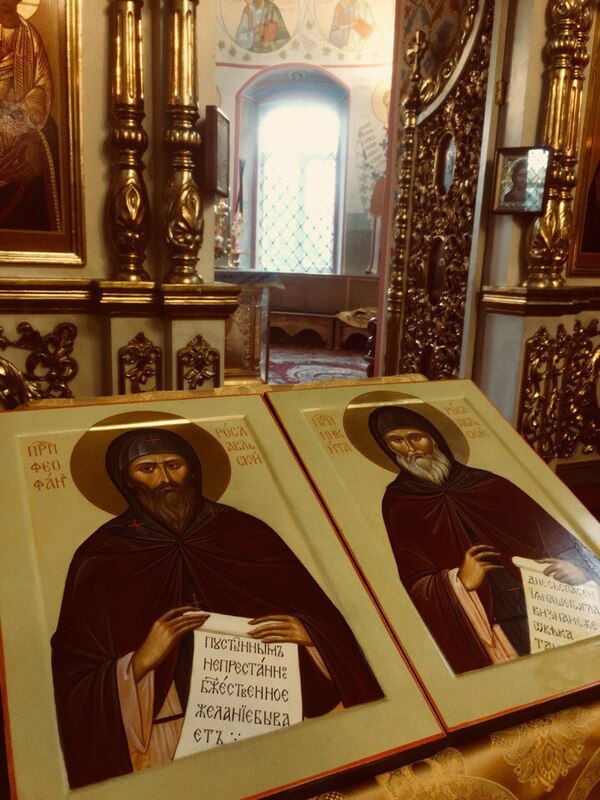 At his request, the Roslavl hermit Father Dositheos rented a horse from a peasant, and in late 1792 he came over to the Hermitage for Father Niketas, and found him very ill. Dositheos asked him to wait until summer, but the Elder was in a hurry to see his Hermitage. Receiving the Superior’s blessing, Dositheos took Niketas and laid him on the wagon, and covered him with a tarp and some straw. 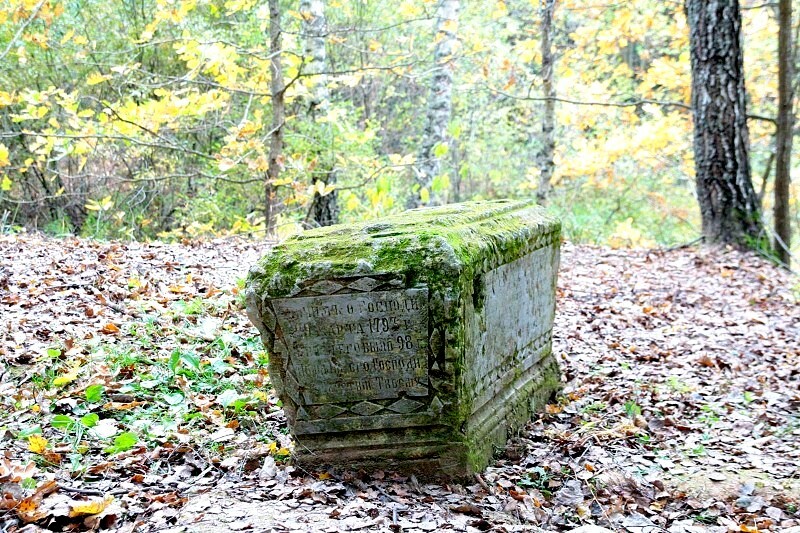 He took the ailing Elder some 90 miles to the Roslavl Forest. 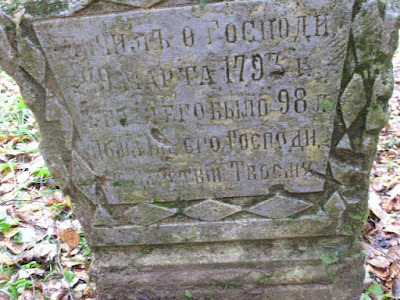 Here Niketas lived for another six months, departing to the Lord on March 29, 1793. After preparing his body for burial, Father Dositheos put it into a beehive, called in the nearby priest and neighboring hermits, and they buried him near his cell. Since Monks’ Gorge always had water in it, Father Dositheos, after a certain revelation, dug up the grave of Elder Niketas after seven years, in order to move it to higher ground. The beehive was whole, and the body and clothing of the Elder were incorrupt. Only a birch (linden?) bark shoe which was made by a disciple and not by the Elder himself was found to have rotted. The other shoe was whole. When the beehive was opened, Father John from the village of Luga was there with other hermits. One of these, Father Arsenios, wanted to exchange his prayer ropes for those of the Elder. But no matter how hard he tried, he could not take them from Saint Niketas’s hand. The body of Father Niketas was taken out of the beehive and placed in a coffin. After a Memorial Service, he was buried on the hillock. At the burial there was a sick monk who suffered from a stomachache. He drank water from the grave site and was healed. 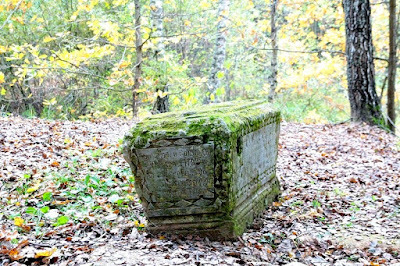 About fifteen years after Elder Niketas’s death, the coffin was opened again, and his body was found incorrupt just as before. On his grave were two memorial stones, and one was very large. Hermits came here on Pascha to sing the Paschal Canon. Elder Dositheos honored the memory of Schema-monk Niketas until the time of his own death, and he always remembered him every year at Pascha. Saint Niketas was approved for local veneration in the Smolensk Diocese on August 31, 2017.